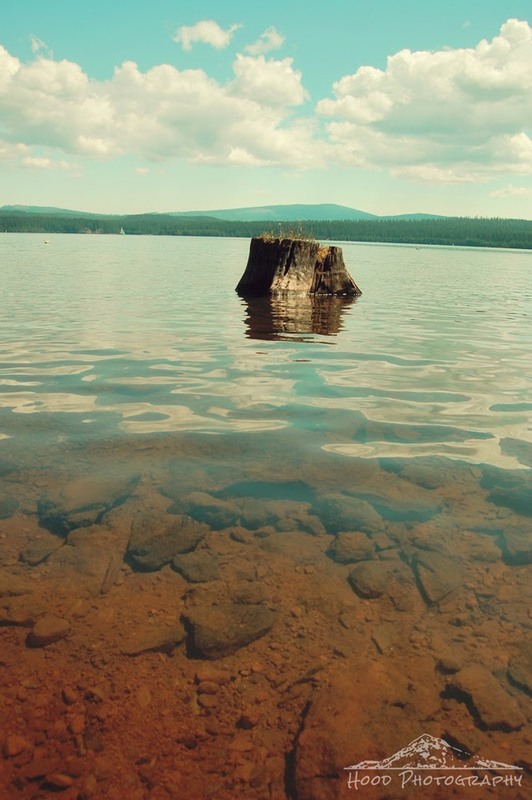 I mentioned in yesterdays post about the many stumps that line the banks and underwater areas of Timothy Lake. This is another view of the distinct feature of the lake, reflecting in the clear waters around it. that's pretty cool. I would think it would be a nice little spot for fish to congregate. I like this. Nice deep in the picture and you can see the bottom of the lake inthe front. That's so cool. Looks like an awesome place to visit!